Turning solids from the treatment process into a valuable soil amendment. Biosolids are one of the end products of the wastewater treatment process. Each year the District produces about 1,500 tons of biosolids. Biological treatment processes stabilize the material and eliminate pathogens. The biosolids are then dewatered to about 20% solids – about the texture and consistency of moist dirt. Biosolids are rich in nitrogen and contain phosphorous, potassium and micro nutrients that are critical for plant growth. Many communities across the country apply biosolids directly to land and realize its benefits as a fertilizer. CSD takes biosolids recycling one step further. For the past decade or so, we have maintained a partnership with Engel & Gray, a Santa Maria based composting facility. 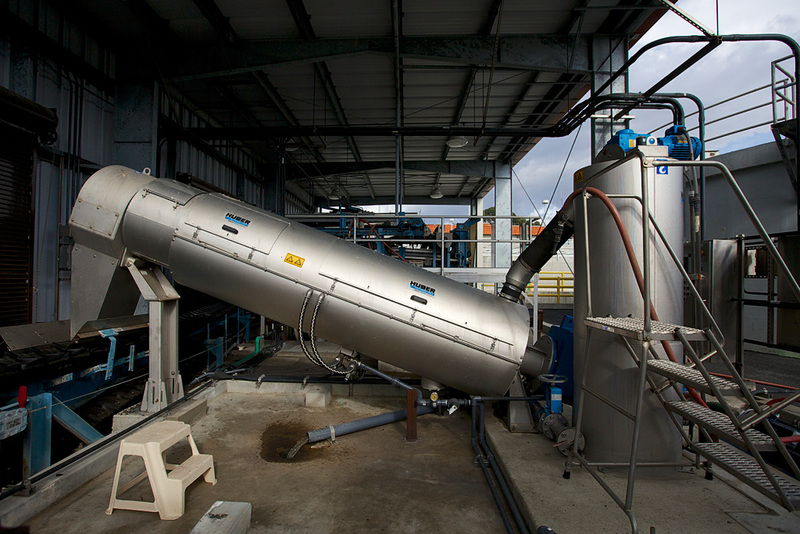 Engel & Gray combines biosolids with green waste and organic waste from area wineries. A controlled and monitored windrow composting process is used to produce a very high quality soil amendment that is marketed for commercial and residential landscape use throughout the region. Rigorous testing ensures that the end product, Harvest Blend Compost, is free of pathogens and other contaminants. The compost not only has high value as a fertilizer, it helps enhance the soil profile and dramatically improves moisture retention in the soil. Periodically the District will make compost available to residential customers free of charge. Look for information on these distribution events on our website or in the local paper.